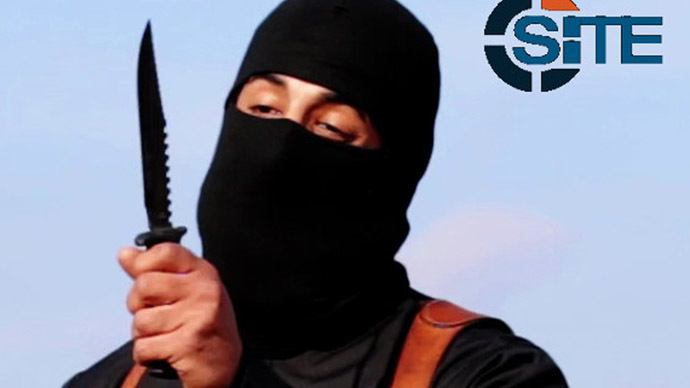 Mohammed Enwazi, the Islamic State terrorist known as “Jihadi John,” was identified by British intelligence but allowed to escape to Syria. It was also revealed that he had links to the failed 21/7 attacks in London, the Observer reports. The British intelligence service MI5 had been keeping track of Emwazi since 2008, three years after the attempt by a group of western militants on July 21, 2005 to carry out terrorist attacks on British soil, the report revealed. Emwazi was a “person of interest” for MI5 as he was a member of a London based jihadi cell that had been set up to recruit militants. Security services were aware that Emwazi had a telephone conversation with Hussein Osman on the day of the 21/7 planned attacks, who was later jailed for life for planting a bomb in a London underground station. The planned assaults came just two weeks after the worst terrorist attacks to have hit the UK, when 52 people were killed on July 7, 2005. Despite clearly being on the radar of the British intelligence services, Emwazi, who was born in Kuwait and travelled to the UK as a child with his family was able to avoid detection and eventually escape to Syria in 2013. “Given the numbers who appear to have ‘slipped through the net’, it is legitimate to ask, how many more people must die before we start to look more closely at the strategy of our intelligence services?” said the former Shadow Home Secretary David Davis, writing in the Guardian on Friday. Emwazi, who was a computer programming graduate of the University of Westminster and lived in Queen’s Park, West London, is thought to have killed American journalist James Foley. The killing was shown in a video released last August. He is further believed to have featured in the videos of the beheadings of US journalist Steven Sotloff, British aid worker David Haines, British taxi driver Alan Henning, and US aid worker Abdul-Rahman Kassig, also known as Peter. It has also emerged that the Kuwaiti-born terrorist said that he was feeling the pressure of being under constant surveillance from British authorities. In a series of emails to the Mail on Sunday newspaper in December 2010 and 2011, he said how the pressure of being watched was getting to him. He also claimed he was a victim of police brutality in his correspondence with the journalist, saying he was interrogated by an officer, who threw him against a wall, grabbed his beard and throttled him, the Mail on Sunday reported. Subsequently, he made a complaint to the Independent Police Complaints Commission about his ordeal. The shadow home secretary, Yvette Cooper, has called for an urgent review into whether the UK government’s decision to relax counter-terrorism laws had played a role in allowing Emwazi to be able to escape detection and eventually flee to travel to Syria and join the so-called Islamic State extremists (formerly ISIS/ISIL). “We need to know whether Theresa May’s decision to ignore all our warnings and weaken counter-terror powers has made it easier to organise and recruit for Isil. “Suggestions of possible links between those carrying out atrocities on behalf of ISIL, and those behind the 21/7 planned attack on London, are very concerning,” Cooper said, the Observer reported. While the man known as Jihadi John continues to be a part of Islamic State, it has also emerged that his family members in Kuwait have come under surveillance from the local authorities. "Security agencies have taken the necessary measures to monitor them round the clock," the Al-Qabas newspaper said, citing an "informed source,” which was reported by AFP. The Al-Rai newspaper, which also cited security sources mentioned that Emwazi's father, Jassem Abdulkareem, who is also a British citizen, is currently in Kuwait and is expected to be questioned by the authorities concerning his son.